Garmin’s DriveTrack 71 is a vehicle-mounted device that pairs dog tracking and off-road navigation on an easy-to-see 7-inch touch-screen. An improvement from the original DriveTrack, the model 71 is 20% lighter than the original, but stil lmaintains the large display. You’ll be able to watch your dog from inside your vehicle, utilizing detailed topo maps or satellite imagery. With its enhanced connectivity, you can also pair with your phone for hands-free calling and voice-activated navigation, as well as use Wi-Fi for software updates and map downloads rather than plug the device into a computer. New DT71: Built In Wi-Fi to easily connect and update your maps. NOTE: “The Garmin DriveTrack 71 is not compatible with Astro 220's. The DriveTrack 71 will transform your hunting experience, allowing you to easily track as many as 20 dogs from the comfort of your vehicle while simultaneously taking advantage of the unit’s navigation capabilities. The nearly 7-inch screen improves viewing experience, making it easy to see the lay of the land and where your dogs are going. The detailed touchscreen display, which is 20% lighter than the original DriveTrakc, provides information about your dog’s current location, state, track history, GPS signal strength and battery life of each tracking collar. This in-vehicle dog tracker allows for hands-free operation and is equipped with Bluetooth calling, voice-activated navigation and on-screen smart phone notifications. You can also take advantage of live traffic updates without the purchase of any additional accessories. A welcome change in Garmin’s line of tracking units, you no longer need to rely on a computer and cable for software updates or map downloads. Instead, use Wi-Fi. Compatible with the Alpha 100, Astro 900, Astro 430, Astro 320 and PRO 550 Plus dog tracking devices, as well as the BC 30 backup camera. Preinstalled detailed road mapping of North America, with turn-by-turn voice guided directions as well as detailed TOPO mapping covering the U.S. and Southern Canada. 1-year subscription to BirdsEye Satellite Imagery. 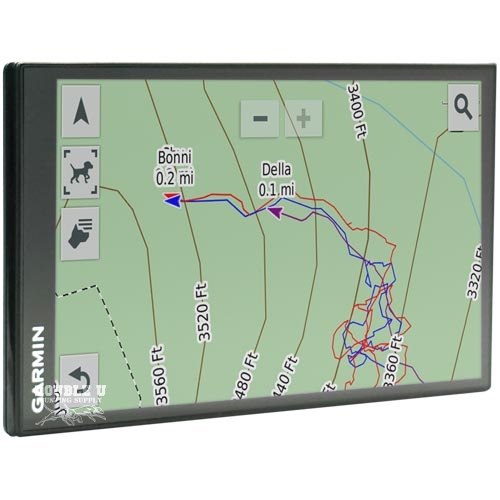 Compatible with Garmin preloaded map cards, including Garmin Huntview and Huntview Plus. 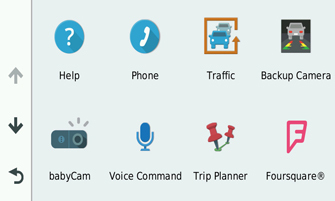 Hands free operation such as Bluetooth calling, onscreen smart phone notifications and voice activated navigation. Also pairs with a compatible Garmin Smartwatch for additional navigation features. Includes vehicle 12-volt power cable, USB type cable and vehicle suction-cup style mount. View Dog's Location: Take vehicle dog tracking to a whole new level with the Garmin DriveTrack 71. You can easily track up to 20 dogs on a 7", pinch to zoom touchscreen GPS tablet with up to 2.5-second update rate capabilities when wirelessly connected to your UPDATED Garmin Alpha 100, Astro 320 or Astro 430 handhelds. Preloaded Mapping: Enjoy the crisp detail of preloaded TOPO U.S. 100k mapping and free 1- year subscription to Birdseye Satellite Imagery to navigate your dog chase with the clear easy to read big screen. Navigation Features: When you are not using the Garmin DriveTrack 71 for vehicle dog tracking you can easily use it as a fully functioning Garmin GPS navigation unit. It comes with detailed road maps of North America as well as free lifetime Garmin Map and Traffic, driver updates, Bluetooth hands free navigation and pre-loaded data from Foursquare which boast millions of popular places like restaurants, parks and shopping malls. Easy to Use: The Garmin DriveTrack 71 is easy to use and set up. In dog mode you can wirelessly connect your UPDATED Garmin Alpha 100, Astro 430 or Astro 320 and use it as a truck screen for dog tracking or simply switch your DriveTrack71 to automobile mode to utilize a vehicle GPS with excellent performance. Hands-Free Cellphone Use: The DriveTrack big Screen is capable of linking your phone to the unit allowing you to answer or deny phone calls which provides easy hands-free phone use via the built-in speaker. Backup and Baby Camera Capable: Wireless cameras are available for the DriveTrack screen that are traditionallymeant for backup assistance and backseat baby observation. We have come to find that these can come in handy for keeping an eye on the dogs on the box, or roading out in front of the truck. 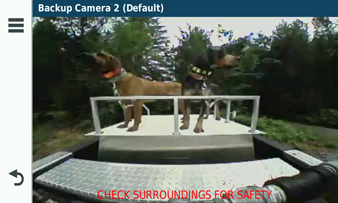 The DriveTrack 71 is a great addition for any sportsman with the ability to see your dogs in real time on a large screen. Bear and coyote hunters will especially see the benefits of the DriveTrack 71, as it assists with navigating terrain with your dogs, without having to constantly look at the handheld. Now, you’ll be able to keep an eye on the road and on the dogs. Big game houndsmen have been asking for a larger truck mount screen for some time and Garmin delivered with the release of the DriveTrack 71. The Double U Hunting Supply team was very pleased with the many usable features built into the DriveTrack 71. Of course we enjoyed how easy it was for us to get our collars linked up and back into the field. Once in the field we found the 7’ screen bright and easy to read with either our favorite 24k map, or with the 100K TOPO map that comes included. We hadn’t utilized the free 1 year Birdseye View subscription that is provided by Garmin with the Alpha 100 in the past simply because of the small screen. However, we did find the free 1 year Birdseye Satellite Imagery far more useful with the DriveTrack 71. The new Garmin DriveTrack 71 boast many of the conveniences of a standard GPS navigation system with one major difference, the ability to show your linked collars, up to 20 collars, on the 7’ screen with detailed TOPO maps. One of the major differences between the DriveTrack 71 and other Garmin navigation devices is the ability to display topographical maps, as well as your dogs location. With the DriveTrack 71 you can choose between street maps, Birdseye Satellite Imagery, TOPO maps or simply install any Garmin compatible map by inserting the microSD card into the DriveTrack 71. This includes our favorite 24K or popular landowner maps. We found that the TOPO maps provided plenty detail in our area while in the field. However, while using the DriveTrack 71 as a navigation device we found “street maps” to be far more useful while navigating to hotels, diners and especially fuel stations during a recent trip. As with many new product releases by Garmin, the DriveTrack 71 boldly goes where no other product has gone. Sure, there have been attempts to get GPS tracking onto a bigger screen but only one has ever gained much traction and is the GPS Dawg. 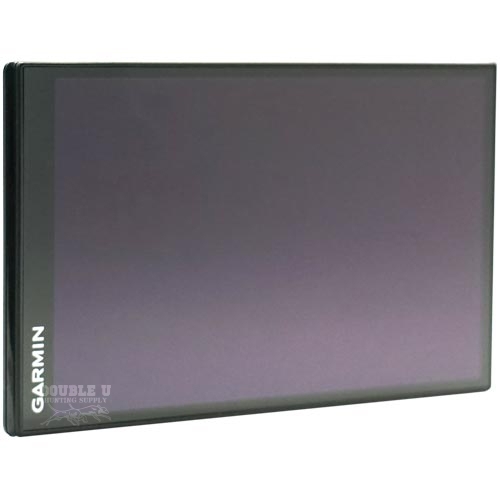 Essentially what the GPS Dawg device does is combine the free software provided by Garmin called “Base Station” to a refurbished tablet. Once paired with a Garmin handheld device using a USB cable, and several other steps the user is then able to share information through the handheld to the tablet. We found this process to be somewhat complicated and not “user friendly”. Once we got everything configured, we found mounting the tablet to be a whole new issue. We considered mounting the tablet in the window but feared it would overheat from the sun beating down on it through the window. Next we looked at a console mount but had to reconsider when we noticed all the coffee stains in, on, and around the console. Our options to mount the tablet were further complicated by the fact that we had to continuously swipe the screen on the tablet in order to keep our dogs on the screen. Although we did find value in the paired tablet system, things like the ability to do updates on our tracking equipment in the field, receive and send emails and on one occasion downloading a how to fix your RV heater video from Youtube, the Double U Hunting Supply team didn’t feel comfortable endorsing the product because of price (between $500 and $800 depending on unit size), dependability, lack of user friendliness and a poor overall user experience. Having a computer engineer on the Double U Hunting Supply team we decided to make our own run at building a larger screen unit for our customers. We explored every option we could come up with but ultimately ended up going down the same path as GPS Dawg. Initially, it was straight forward from a “tech geek” point of view, until we got to the point of downloading maps. Finding a map that would run smooth proved to be difficult, at which point we abandoned the project. We simply felt the system was a failure on too many levels to receive a green light from the Double U Team. At this point we turned to our friends at Garmin and shared with them some ideas that we felt would be in solid demand. 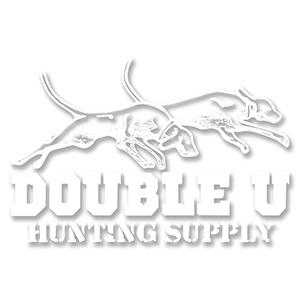 Following what seemed like an eternity, we are pleased to finally give the Double U Hunting Supply endorsement to the Garmin DriveTrack 71. So what sets the new Garmin DriveTrack 71 apart from other larger screen attempts? Well as mentioned before you get the very easy “plug and go” setup along with the fact that you get wireless communication between the DriveTrack 71 and either the UPDATED Garmin Astro 430, Astro 320 or Alpha 100, built in 100K Topo Mapping, free 1-year Birdseye Satellite Imagery subscription, free lifetime Street Mapping, as well as the ability to load maps through the microSD card slot (including our favorite 24K TOPO map or the popular land-owner microSD card), a convenient window mount is included, Auto Zoom, on screen alerts, a highly functioning navigation device, Bluetooth capabilities all for $399.99 and backed by Garmins 1 year warranty you can’t really go wrong. 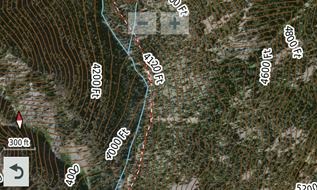 Built in Topo 100K maps are included. Easy to connect, virtually turn on the device along with your handheld and your dogs start showing up on the screen. Built in options to follow the dogs in the race, the unit zooms in or out to keep all your dogs in view so you can follow the race. Free 1 year Birdseye Satellite Imagery subscription. Hands free Cell Phone Calling. With all that said what do we feel Garmin could have done better. One of our first issues with the DriveTrack 71 is it only tracks on the screen while it is actively paired with the new UPDATED Astro 430, Astro 320 or an Alpha 100 handhelds. If the power is interrupted, or if you turn off either of the paired units you will lose all your tracks up to that point. Essentially you will start a new hunt on the DriveTrack from that point forward. It currently does not save the Tracks. Also, we felt a stand alone unit would have been the better choice. We feel the customer would have been better served had the unit been designed with the ability to track your dog without being linked to a handheld. Our idea of the perfect vehicle mounted tracking device would have been on a 7” screen platform much like the DriveTrack 71, however it would have the capability to be attached to a truck mount antenna, serve as a hub for mass information transfer for things like dog tracking information. Imagine how handy it would be for the handler if he was planning to hunt with another pack if all he had to do is scroll to the “share all dog” info icon and press “share wirelessly” and presto your info is shared to your hunting partners paired Drivetrack device, or if you happen to lose your handheld unit and needed to replace it. You would simply pair the handheld to your truck mount unit and share all dog info to your new unit. We have on several occasions received calls from customers hoping to reconnect to a collar that is on a dog in the field. Most of these calls come from customers who had set their handheld down during a hunt and couldn’t locate it. Currently, the only way to reconnect is to have your tracking numbers saved on another handheld or to write them down. Had these handlers had a truck mount unit that automatically syncs with the handheld and transfers mass information all they would have had to do is get another unit, pair it and get back to hunting. Not a stand alone unit, does not easily allow for an external truck mount antenna. Tracks are only on the screen while you are connected, If you have to turn off the device or re-pair the handheld you will start a new track and lose your previous tracks. 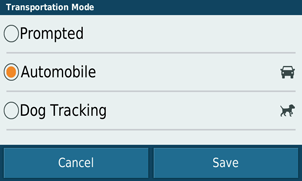 You can not save your tracks on the device. How does the device compare to Other Larger Screen options for your Pickup. Drivetrack 71: Cost 399.99. 7 Inch Screen wireless communication with UPDATED Astro 320, Astro 430 or Alpha 100. Tablet with Base Station: 399.99 up to $800 The Value tablet 8 inch for 399.99, or the Pro 8 inch tablet for 549.99. Prices can go up to 800 for an 11 inch tablet. We feel the price of 399.99 for the DriveTrack is priced accordingly -You might be able to find other options using Base Station that are similar or slightly lower in price than the DriveTrack 71. However, for the value it will be difficult to accomplish an out of the box working unit for the price of 399.99. We should also mention you might be able to build a Tablet system yourself for less money than a DriveTrack. However, by the time you purchased Maps and Mounts,the cost would be approximately the same. It would also take a considerable amount of time and experience with computers to set it all up. The DriveTrack 71 wins handily compared to all of the windows tablets, simply turn on the UPDATED Garmin Astro 430/320 or Alpha 100 handheld and the DriveTrack and the unit starts picking up the dogs in your dog list. When using a Tablet you’ll need to connect the Alpha/Astro to the Tablet using USB cable, and start and run Base Camp program on your computer to display and show the dogs and You’ll also need to install maps on your tablet before you can view maps on your tablet. 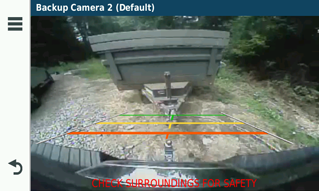 We found that mounting a Tablet in your truck was difficult to find a good place due to size. Comparing Features is difficult. The features that each have are different. The DriveTrack has more features regarding navigation, turn by turn directions, and pairing to your cell phone. With the DriveTrack it’s simple to search and find addresses, waypoints or points of interest (Food, Hotels, Gas stations). The strong points about the Tablet systems, these are essentially mini computers which allow you to run any software you would normally run on a computer. For example you can receive emails and perhaps the most useful feature is the ability to update your Garmin Devices software. (Today I’m flying at 30,000 and I now use my BaseStation device for traveling, hence I’m typing this review on my “Basestation Tablet Unit”) In summary, it really depends on what and how you will use it, If you really use and need a Tablet/computer for travel then there are situations that a Base Station Tablet could be more useful, If your device is strictly for the Truck then I would recommend the DriveTrack. In summary, if you want or need a Mini Computer for email, software updates, and etc., you might consider a Tablet. For most of us we want a dedicated platform to the truck it makes a lot more sense to get the DriveTrack 71, the features with the DriveTrack 71 help with navigation and turn by turn directions. DriveTrack 71 Maps: The DriveTrack built in 100K Topo Maps for the entire US, included is also lifetime Street maps. If you use Birdseye Satellite Imagery you receive a 1 year free subscription. The DriveTrack has a Micro SD card slot so that you can put any Garmin Compatible Map chip in it and easily upgrade to 24K, HuntView, or landowner maps within seconds. Tablet: Basestation maps are not included with the tablets, however some of the Bundle packages include one state of 24K Maps included. 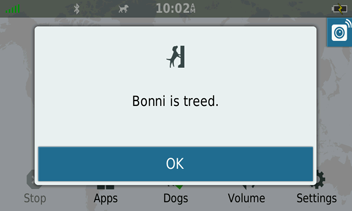 You’ll need to install the maps on your tablet before you go hunting. To do this you will need to connect to internet and find a downloadable map. This can be time consuming and confusing for some houndsmen. Clearly the Drivetrack wins the mapping section, When you purchase the DriveTrack 71 you’ll have all the maps you need ready out of the box, Topo, Street, and even Satellite imagery (by subscription) included. Also installing other maps on the DriveTrack is much simpler with the MicroSD card compared to a Windows tablet. DriveTrack 71 is designed for the windshield, Garmin heat tests their navigation devices to withstand with the hottest days while the device is mounted and left in your windshield, we personally tested them in AZ with 106 degree days driving and experienced absolutely no issues at any time from Hot or Cold. We have been informed by Garmin, that in the worst-case situation, their devices are designed to discharge the battery for safety reasons if the device gets too hot. Clearly, Garmin has put some thought into where and how this device is going to be mounted. Garmin claims -4 to 131 degrees Fahrenheit. How do the Tablets Compare: Google the term “Dell Venue Pro 8 Tablet Overheating”, and you can read about these tablet’s susceptibility to overheating under normal usage. Now imagine mounting this to your windshield on a warm day. Computers are very susceptible to heat and they are not built to stand the harsh conditions mounted to a windshield. Tablets/Computers will slow down their processors when they get hot which will drastically slow the performance. They can also stop working and have permanent damage in hot environments. If anyone has left their Tablet or phone in a ar we have all seen the screen that shows the device is too hot to use. Specs for the Dell Tablets for example are 32-104 which is much less forgiving of the Harsh environments. In conclusion, our suggestion is clearly with the DriveTrack 71. It was too simple to operate, turn on your handheld and turn on the DriveTrack 71. Our customers want to hunt dogs, not try and figure out how to setup and operate these devices. After a minute or two you should have your dogs showing and tracking on the screen with Roads and Topo Maps. The DriveTrack 71 is easy to understand and simple to use. Also, Garmin priced the DriveTrack right at $399.99 saving money in the long run by including maps and lifetime street updates. The headaches and time users will save quickly cover any small savings that a person would make by trying to piece together a lower cost Tablet system. Purchase a DriveTrack 71, You'll find it’s easy to set-up, and your days of driving down a dusty dirt road during a race, straining to keep up with the dogs will be a thing of the past. The passengers in your truck will also appreciate and can witness the chase from their seats as well. Although the DriveTrack 71 big screen is meant to be plugged into a power source in your rig at all times it can keep power for roughly an hour or two when there is now power connected to the unit. What’s in the Box for the DriveTrack™ 71? Frequently Asked Questions for DriveTrack™ 71. A: Yes! 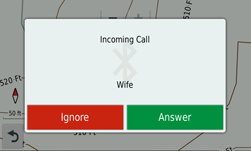 You can send and receive phone calls hands-free while in Dog Tracking Mode. A: No the DriveTrack comes with it’s own 100K TOPO map, If you want to upgrade Maps you will need to purchase a MicroSD chip for the DriveTrack as well as the Handheld. A: You can track contacts currently being tracked by your Alpha 100 or updated Astro 430 or Astro 320.